I missed doing crochets. I still have a lot of projects that is waiting for them to get finish. It's my stress reliever and the fulfillment is unexplainable whenever I created something. 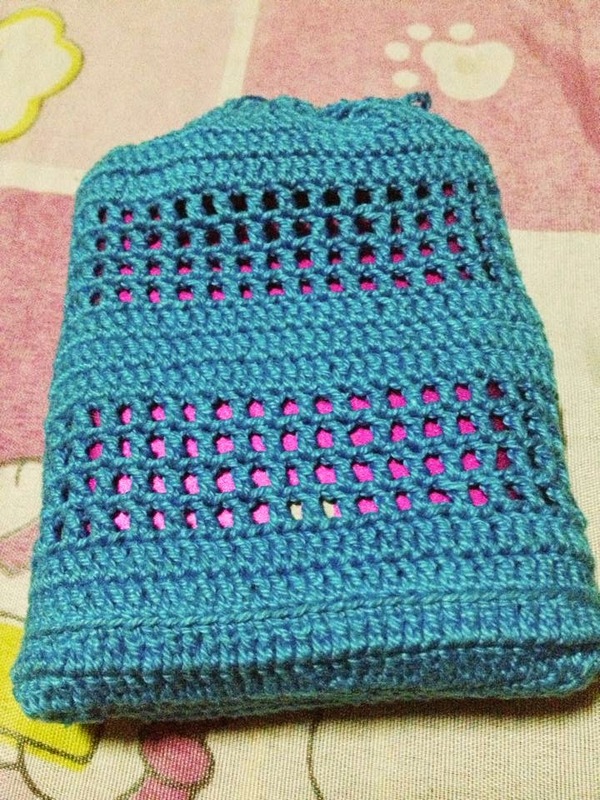 One of the pending projects that I have is this crochet case. 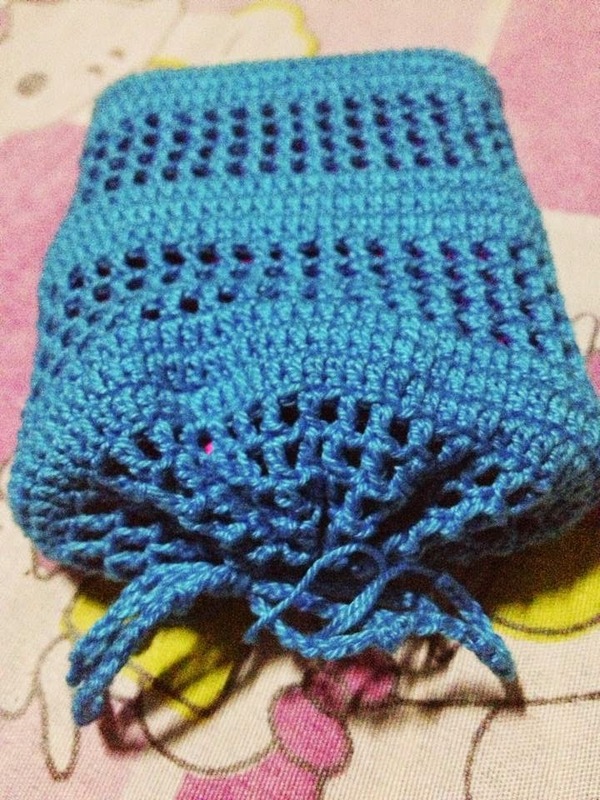 It's an experiment crochet project because I don't copy the patterns anywhere. At first I didn't know what I will make out of it. I was just trying to create my own pattern. I can follow other's pattern especially those who have easy and basic patterns. It's really hard for me to create my own that is why I am really amazed with those people who can make their own. They are really talented. This project stays for a very long time. Then my boss gave me a powerbank last year. At first, I wanted to buy a case so it will not be scratch inside my bag. Then I remembered that I have this project undone. I started to compare their sizes and they actually fit! I added a chain rope so I will be able to close it. I used the smallest hook (0.60 mm) and monaco yarns. Too bad I was not able to write down the pattern for this. It's a simple and basic pattern but I was happy how it turned out! They are definitely meant to be! Project listed on March Linky Party by Not Just A Housewife.